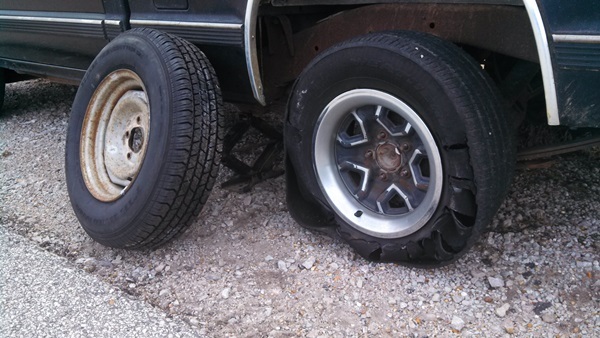 On my way home from the studio last week I had a major blowout on my truck. Not so much a patch n plug do it yourselfer, more of a carry the mangled remnant of what was once a tire in for a new one. So, rather than unloading a much anticipated kiln load of pots, I spent Wednesday afternoon on the side of the highway, changing a tire, thankful for gloves. 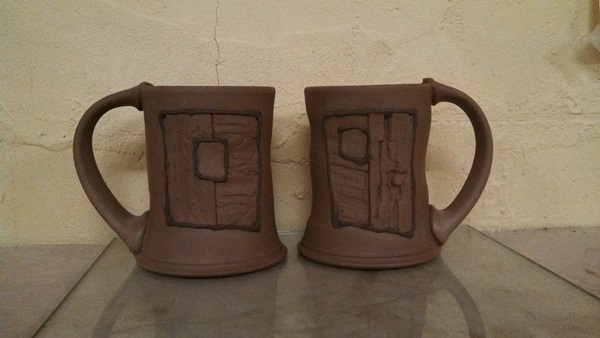 I’ve been working on a series of grafted mugs this week. The inlays are positive impressions made from textures found in the barn next door. Currently, I’ve got about a thousand ideas for variations on this technique. I get a kick out of the idea of grafting or being grafted in. Our studio is located in the middle of a vineyard so, of course, grafting is a regular practice around here. Then there are parables about grafting… Right now I’m just working and enjoying the process (which takes forever)…knowing that the ideas will catch up. At first glance I like that the process is not just a surface thing… it makes it all the way to the center. Over the past couple of weeks I’ve been working with the good folks over at Bourbon and Boots. B&B is an online amalgamation of all things Southern. Southern Culture, Music, History, Style, Food, and Art. They feature unique, one of a kind, small batch stuff…handcrafted hammers, turned wood bowls, cocktail mixers, and little old me. That’s right. We’ve already packed and shipped pots to Baton Rouge, Spanish Fort, Phoenix, and Virginia Beach. 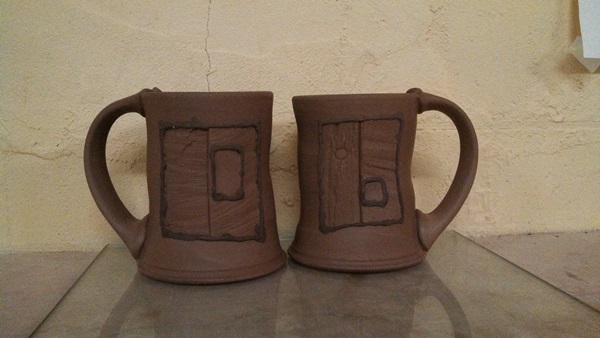 There are brand new pots on there now and more coming next week, so… for all of our “out of towners”…here’s to you! Did I mention Guinness flavored marshmallows? They also have a section that sells vintage and used cowboy boots which I thought was especially dixie. Like my buddy Tim said… “You had me at bourbon”. If you can get a copy of this show I highly recommend it. 1. Intro…love the harmonica…he starts in on it and the crowd goes nuts…Bob hesitates like “give me some space, folks”…the crowd backs off…Bob runs with it beautifully almost past the final note of the outro…over way too soon. 2. You Ain’t Going Nowhere…”eaaaaaaaaaaaaaaaaaaaaaaaasy chair”. 3,4. Cold Irons Bound…the intro is like Bob is testing his own band…they start in on something…Bob busts in with whatever he wants to play at the moment and the band has to play catch up for a minute… they are playing five different versions of the same song, even from verse to verse….”I cried for you, now it’s your turn to cry a while”…messy and disjointed… in a good way. 5. Love Minus Zero…”Hip-No-Tist Co-Lec-Tor!”…great harmonica…seems to be enjoying himself…and then the harp gets better. 6. High Water…”You can’t open up your mind, boys, to every conceivable point of voooooo”…mingling lyrics at the end, again, in a good way…the show groove has been established. 7. Stuck Inside of Mobile with the Memphis Blues Again…nice pokey solo…this song was written to early…there are actually caricatures of normal Bobisms here…nice quivery falsettos on the last couple verses. 8. Joey…the song begins and I check my watch…warms up to great vocals and rhythm…a few minutes in and the lyrics become the rhythm…wishing I was there…love how he lets a 10 minute song breath for a while during the solo…forgetting some words at the end…and a second solo…nice piano ringing through. 9. Leopard-Skin Pillbox Hat…what shadowy gift does Bob possess that makes it impossible for the rest of us to sing along with him? Best solo ever. 10. Hollis Brown…commenting much on this song would be about as reverent as critiquing a funeral. It is what it is…haunting. 11. Boots of Spanish Leather…this is the show stopper…there’s something slow and eerie and otherworldly…celtic and nautical…it builds and cascades like it’s from the point of view of the ship carrying the letters…gorgeous. 12. Hard Rain’s Gonna Fall…this song usually carries with it a cinematic feeling…a collage of moving pictures…the delivery on this one is much more punctuated…like black and white still frames…solid. 13. Saving Grace…there’s a little space here and the crowd is clearly revved up…lots of screaming in anticipation for the next song…so, of course Bob responds with a hymn. This song is slow and sincere. PUBLIC SERVICE ANNOUNCEMENT…Dear crowd, shhh. No screaming in church please. “There’s only one road and it leads to Calvary”… Amen Bob. 14. “What do you mean you can’t repeat yourself- of course you can”…very rockabilly…very Carl Perkins. 15. Cat’s in the Well…solid. 16. Like a Rolling Stone…flipped…rearranged…brand new. 17. 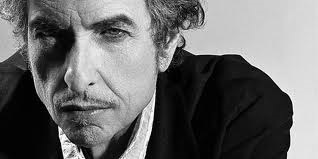 All Along the Watchtower…incredible…great driving bass…pounding drums…Bob just stole this song back from Hendrix and made him blush. Perfect encore.